I'm not sure if anyone has done this yet, but if not then id love to be the first. Id like to give you a look inside the mind of a chef in a relationship. A little back story, I'm a 18 year old cook who has been in the industry sense I was 13. In the past two years I have been working more and more in my current restaurant where I am now a sous chef. As I have moved up through the ranks my hours have increased putting a serious strain on my relationship. 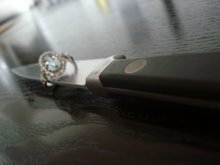 When I was fifteen I met my ex-girlfriend Lyndsay, who I dated for two years and nine months, in the end she cheated on me, and when I asked why she would do this to someone she loved I realized the nature of the beast, "I wasn't getting the attention I deserved, your always to busy with your job.". I was left heart broken, and confused. Following this relationship I focused on my work, until I met my girlfriend Christine who had been a friend for many years. We started dating and were both very busy with our job, she works in retail so she works nights as well, but then things began to fall apart, I would come home after 10 hour work days and 5 hours of school, to not being able to see her because she was out with friends, slowly this began to come to a end and then we split up. Currently Christine and I are beginning to get back together, but here is what I don't understand and maybe you woman may help me find a answer, why do friends come before your significant other? I mean I understand you have to hangout with friends, there important to, but shouldn't I get some attention, is it really enough to see her every other couple of days for a hour or so? For example: today I went to her house because she wanted to "see me", I was very excited as I have this week off from work while the restaurant is closed, she was off tonight as well, I walked in, got a kiss, and then heard "alright ill call you later, I gotta go get ready, i a\m going out with the girls tonight". Don't get me wrong I truly love Christine, I always have and so has she but I just don't know how to fix this issue. But here is my point I really want to point out is us chefs really do try, we really do love you, and we really do think about you while were on the line. All of the cooks I work with are married and we do have a serious commitment to our relationships. I really hope no one out there thinks we don't care just because were busy, we really do wanna be with you. When I met Christine I made the point that I do work a lot and have a serious commitment to my job and food and she does understand and I'm very blessed. 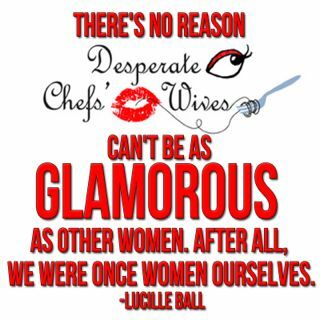 I understand how hard it is to be in a relationship with a chef, we tend to be a bit grouchy and I truly respect all of you out there willing to try a relationship with us. Just please understand we want to be next to you ever second just like you want to. wow! talk about a run with bad luck! i can honestly say that i am not a cheater, i have been with my chef for almost 7 months and we have known each other for over a year. when it first started out, i worked as a waitress and that was it. then, i decided to go to school for baking & pastry. then i lost my job. this has put a strain on my relationship because although my chef makes great money (he is an executive chef) he cant support me and him the way we are living, which is, we have seperate apartments. i now work at a bakery and i dont do any baking right now, but i am one of the people who gets texted to see if i can come in. this is something that has been happening more and more. i guess i am more understanding than a lot of women because i am already in the industry and have been for almost 2 years. i know what its like to be called in or have to work longer because people dont show up. its a little harder since i dont live with my chef and that will all be changing very quickly. i also go to school AND try to get full time hours. its hard on me. sometimes, i dont want him to come over yet because i need my "me" time. but he avoided relationships and commitment for years, he is 35 and i am 25, so he actually has made an effort for me. when he came to omaha, he decided this was going to be one of his last moves, he wants to settle down. he made this desicion before we started dating. he has been an executive chef for 8-9 years with different companies. i cant say that i put my friends before him either. he makes an effort to hang out with them and me a couple times a month because they are like family to me. i dont drink or party so everything is fairly lowkey. i guess with any relationship you have to decide whether its worth it or not. that is something you need to ask yourself. if it is, then you need to make an honest effort to give your significant other the time and attention that they need. and that goes both ways. i know there have been a lot of compromises with my relationship, but nothing major. im not ever compromising myself or my values. just have to ask yourself if its worth it. I think it's an age thing. You said you are 18? Things will change. When girls are that age they are looking for what is FUN. Not what is right. I agree with you. I laugh cause my BF thinks about me on the line, when he's prepping, etc. but when he's with me he's thinking of food. Haha. My thoughts? Don't ever give up your work for a girl. It's not worth it. A girl who really loves you will figure out how to see you and be with you. Around your schedule. A girl who feels neglected and ignored,--I thought that too at first but now I realize how it has to be and accept it. And love him for what he does. And vice versa. EX: My BF has Tuesday off. So now I am figuring out how I can change stuff around so I can spend time with him. Just him. Nights out with the "girls" is really just girls looking to meet dudes. And I don't need to do that now I have a "dude." a really great one. I always tell my Boyfriend,-- In order of importance,-- Work, then me, then everyone and everything else. haha. But WORK ALWAYS IS MORE IMPORTANT THAN ME!! marianna, i have always tried to wrap my head around how my boyfriend says that i come before work, but if i call (with an emergency) and he is at work, he doesnt usually answer. if work calls him, with what they consider and emergency, and he is with me, he ALWAYS answers the phone. he said this year he is going to not answer the phone on sundays, the only day we have off together. lets see how long that lasts. i am not sarcastic, i just know how it is. it is true that maybe age has a huge role in john's problems though. even though women supposedly grow up faster than men, it might not be true in the case of the girls he is choosing. sometimes we all need a wake up call. maybe she just needs to have a conversation with him. or maybe, they need to set aside a time of the week where it is just them and nothing else. if you cant compromise at all, maybe its not worth the work. sorry to say that. Thanks for brining your concerns here John. I think sometimes thing do have to do with age, but I don't think age is ever the main obstacle. People are people and no matter where or when we are in life we are all struggling with the same things and dealing with the same emotions. John seems to be feeling(among other things) neglected. The same feeling a two year can experience when their parents are too busy to play. The same feeling I experience when sisters are too busy to call me. The same feeling an elderly woman might experience waiting for family to visit that never does. John, I suggest talking to your girlfriend. She might not be interested in spending more time with you, but she might also not even know how much her time with her friends is affecting you. Please keep us all posted here, we are very interested in how this all plays out. I was excited to see John's name as guest writer, hoping to hear a "chefs" perspective, but come on, 18? I say to John, focus on your work and don't worry so much about "women" (girls), and bravo for Christine not to wait around for you or change plans just because you are once in a while off work...she's obviously putting herself first and not sitting around thankful for whatever time she gets with you...which is the problem most people dating cooks have, they get brainwashed in thinking this career is so much more important than others...you can't call during service, oh no you might interupt some sort of master work going onto the plate!! And you have to wait around for them and be available on their one day off, possibly changing your plans. You end up putting your life, friends, career on the back burner, for what? The cure to cancer? NO, dinner. Now I"m not trying to fight the industry...biting the hand that feeds me, so to speak...but come on! Ladies, please don't lose yourself, your careers, your friends, your life! Take a lesson from 18 year old Christine and don't wait around! Im glad to be getting such a good response on my blog entry. So here is a update. Saturday night I left Christine for good, we were out at a show, my sister boyfriends band was playing a local venue. While we were there Christine would slip away for a bit, later I found her flirting with a group of guys and I decided enough was enough and told her this wasnt going to work. I understand your concerns here and Im just wondering if you are or have ever dated a chef before? If so im glad to see how strong you are as a individual, that is a quality I find very appealing so kudo's on that. But for the record I never expected her to sit around and wait for me to have time, she knew I had time off to spend with her. Also its not that we think or jobs are more important its that many of us are very passionite about our work, sometimes more then others and im sure many other chefs would agree. In regard to the phone call situation some of you seem to be concerned of most restaurants I have worked for dont allow any outside communication while at work unless it is emergency and comes through the kitchen phone. We also dont have all that much time to make phone calls and if they do they are very short. If anyone has questions your willing to ask on here feel free to ask if not email me at chefjon91@gmail.com and im more then happy to answer. John, Good for you for calling her out and moving on! 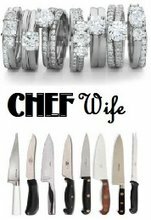 Yes, in answer to your question...I've been married to chef for 10 years! I am also in the business myself...so I get it, I do. There is big difference between sitting around and simply keeping your own life going. I've seen too many "wives and girlfriends" get off track, focus too much on their mans career, then one day look around and they have nothing for themselves. Good luck John. I've been in a relationship with a, now sous chef, for 10 years and all I can say is to make sure you find a girl that knows what she's getting into because the older you get the harder it is to deal with. When I was 19 it was no big deal but now that i'm 28, want a family and have had to go to all my friends wedding & events alone it's a little different to say the least. We love each other more than anything but it's not easy seeing each other for 1 or 2 hours at night, that is IF i can stay awake on the couch before he gets home. Be honest up front about the long hours for little pay (and yes my bf works at an upscale restaurant). good luck finding that independent strong woman that can be on her own within a relationship! I know that I may be a little late to comment on this, but I am thankful that I have just found it! My name is Melissa and I am from Northwest Ohio. I met my fiance in college in Ohio and we just recently graduated this past May. We moved to Indianapolis so that the could go to culinary school and we could start our lives. It's nice because his family is nearby, but as far as friends for me - I don't have any. It's hard to meet friends when my fiance is working all the time. You meet friends by going out to different places and meeting friends of friends and sew on. This obviously poses as an obstacle for me, because I have nowhere to start. Having said that - I do sometimes find myself being resentful. Not of my fiance but of his career. He goes to school all day and works all night - pretty much every night. He works hard to progress in his career, and I stay at home with my dog feeling like a loser. It is very difficult because I get to go out and be with friends and have a life - and he doesn't. That frustrates him sometimes, because he does have friends here that he could be hanging out with and doing things with. It's frustrating for me because I realize that I have the opportunity to do so, but can't because I don't know anyone! So to keep from talking in circles, this is a pretty strange predicament we find ourselves in. We do both greatly appreciate the time that we do get together, but that time is becoming less and less. It's frustrating to see what we both will be going through for the rest of our lives, but honestly, I am willing to stick with it. So I guess what the whole moral of my story is, is that it takes a special person to be in a relationship with a chef. And it also takes a special chef to be in a relationship with his girlfriend/wife. Chef's are like doctors and CEOs. They are where they are because they worked hard to get there. I really can't expect anyone to throw that away. However, I do believe that sacrifices do need to be made here and there from both sides. And we both realize that which is a good thing, for now.